The history of the Cathedral of Saint Mary of the Assumption, also known as Saint Mary’s Church, begins with the land on which it is built. A part of the Battle of Trenton took place on this site during the American Revolutionary War. The Hessian Commander, Colonel Johann Gottlieb Rall, was mortally wounded and eventually died here on December 27, 1776. This is recognized by a historical marker found on the façade of the Cathedral Rectory. In 1865, Reverend Anthony Smith purchased the property. The ground was broken for the foundation of Saint Mary’s Church on April 23, 1866. The parishioners contributed much of the labor, and it took approximately five years to complete. On January 1, 1871, Saint Mary’s Church was dedicated. 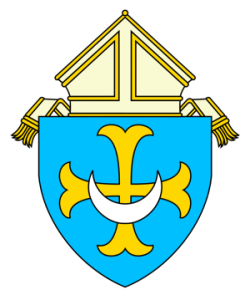 On August 2, 1881, the Diocese of Trenton was established by Pope Leo XIII. Saint Mary’s Church was designated the Cathedral, the Mother Church of the new diocese and home to the Cathedra, the Bishop’s chair. Tragedy struck on March 14, 1956 when the Cathedral of Saint Mary of the Assumption was destroyed by fire. The lives of the Cathedral Rector, the Very Reverend Monsignor Richard T. Crean, and the Cathedral housekeepers, the Misses Mary Brennan and Mary Donnellan perished on that day. 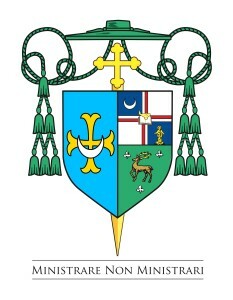 A new Cathedral was erected and dedicated by Bishop George W. Ahr on March 14, 1959. During the dedication, Bishop Ahr stated, “Here, the parishioners of Saint Mary’s, the people of this city and visitors will find an inexhaustible well-spring of divine grace and a fruitful source of spiritual blessing, strength and consolation. In very truth it will be a House of God and a Gate to Heaven.” This is our continued hope for the Cathedral of Saint Mary of the Assumption.